This year's Ramadan Bazaars feel a little different. Even though the same food is being sold, the changes have been noticeable especially in those that I frequent a lot like the Shah Alam bazaar. It's not everything that changes as some things remain stagnant like the balloon sellers enticing the children to take home a colourful character whether it is Hello Kitty or Upin & Ipin from a popular locally produced cartoon. 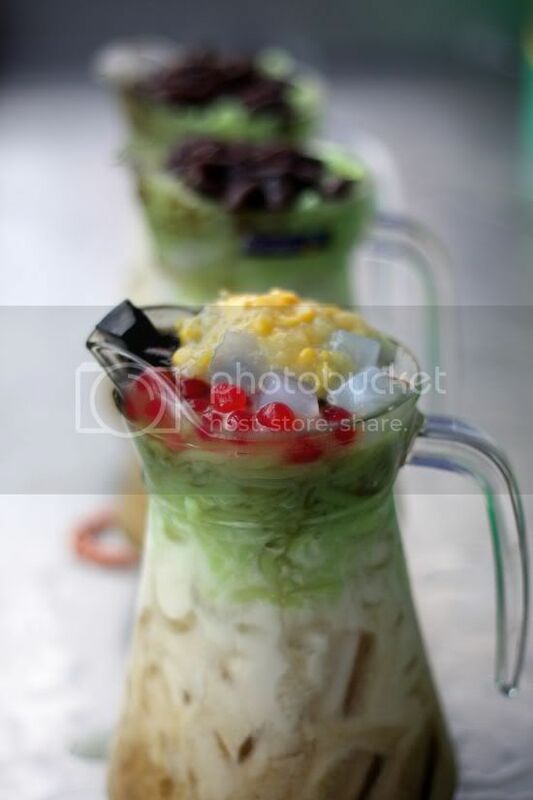 There's also the famous cendol jugs that I snap a picture of every year, as the colourful array of jellies, green rice flour bits, corn, nata de coco and red beans are irresistible. 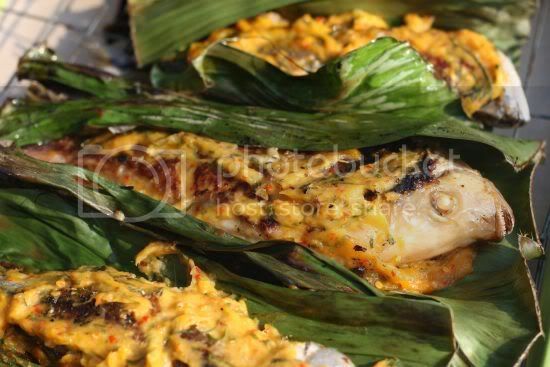 One of the new things spotted in the bazaar was an unusual version of ikan bakar from Pahang as tempoyak (fermented durian) is smeared on the grilled fish and cooked. 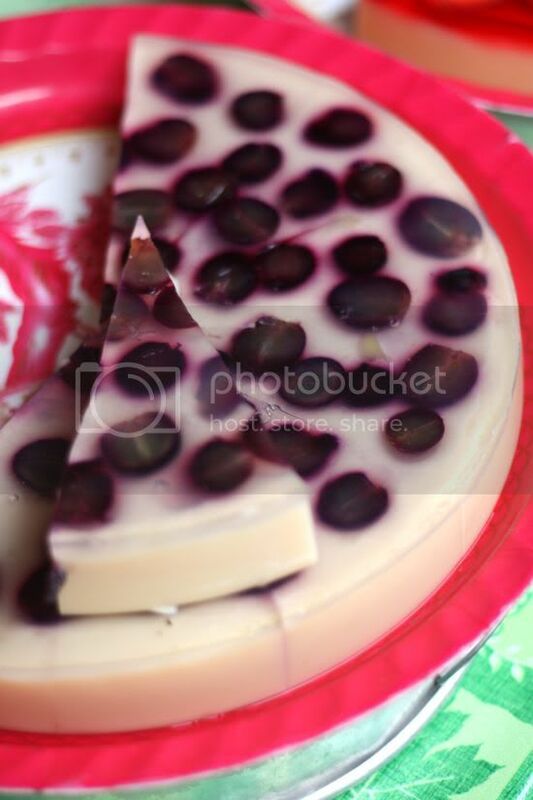 If one loves the pungent and creamy taste of tempoyak, it is definitely a heavenly combination. 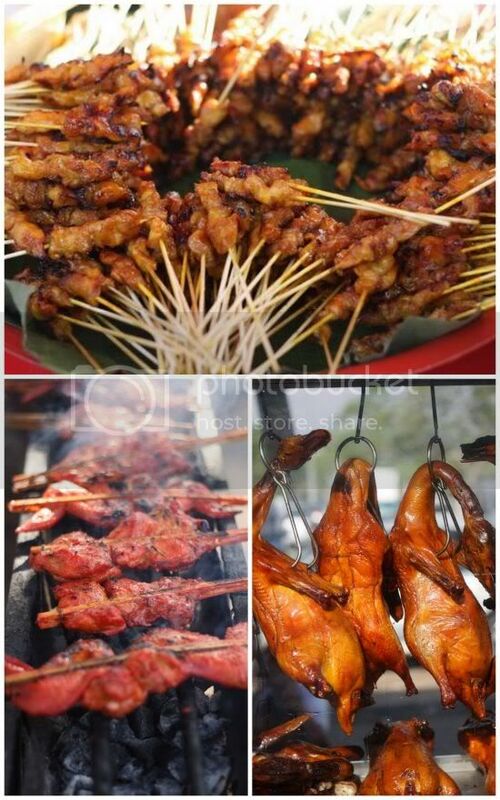 You also find the original Sabri Hoi stall that sells roast ducks (he has another outlet in Kelana Jaya's Ramadan Bazaar), just a hop and skip away from his restaurant in Section 13 Shah Alam. You will think roast ducks is only an acquired taste for the Chinese but the Malay crowd seem to also love it as crowds of people will jostle through the crowd for the crisp skin ducks. The freshly made onde onde or buah melaka stalls seem to have also taken over Shah Alam as there's three stalls selling the same thing. It's nice to know they're fresh and not recycled from the day before since you can see them kneading, rolling and cooking the dough on the spot. 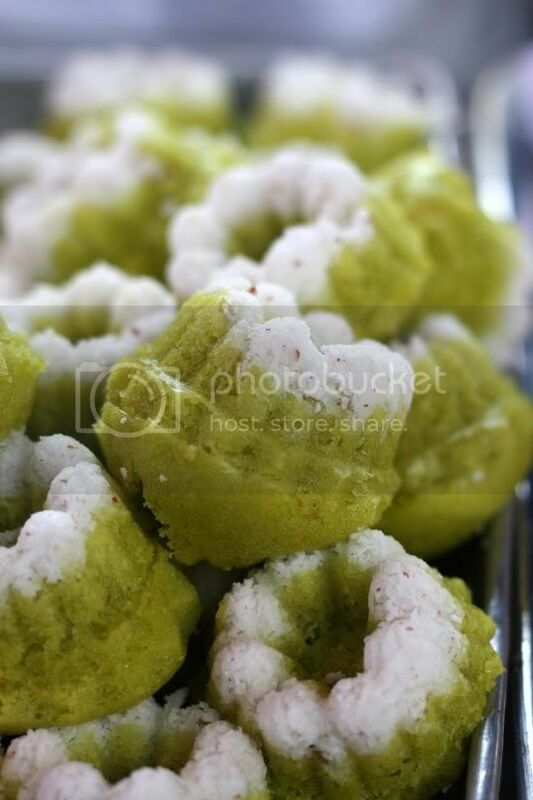 They also sell the larger kuih lopes and display packets of gula melaka, which is also for sale. I was a little disconcerted as this year I couldn't identify which pecal Tanjung Karang stall I used to frequent. Unlike last year, where there was only one stall, this year sees three stalls selling the same items and because I can't recognise the people, I randomly pick one to sample its goodies. Even though it is wrapped the same (in a large banana leaf) with the sauces on the side, the pecal has lost its potent kick for me as the sauce seems severely watered down. How dissapointing. I do spot a few interesting stalls - the fresh fruit rojak stall, fried cempedak that smells delectable, a stall selling all kinds of ketupat and lemang. There is even one stall selling pie tee but instead of shredded yambean filling, they give raw shredded carrots that just don't seem the same. 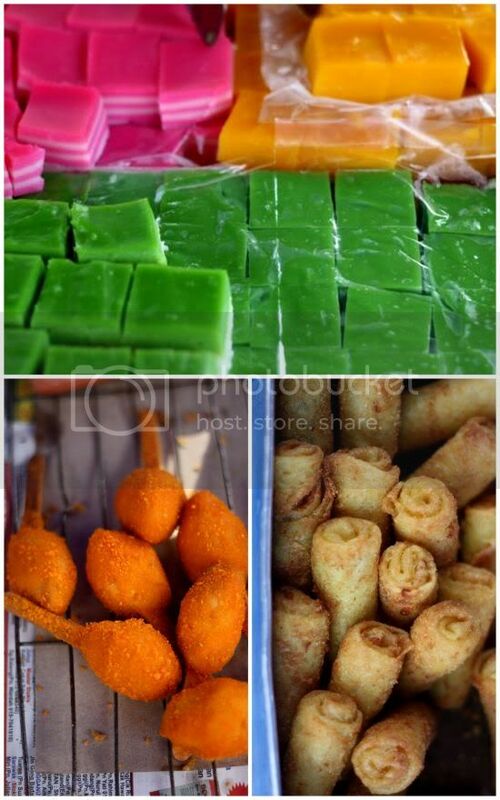 As usual, kuih and jelly stalls seem to be quite scarce here or are sold out quickly in the beginning. The jellies are very colourful but nothing looks innovative. Instead, we discovered inadvertently that the nearby Giant Shah Alam sells one of the better tasting tepung pelita at the food court stalls. 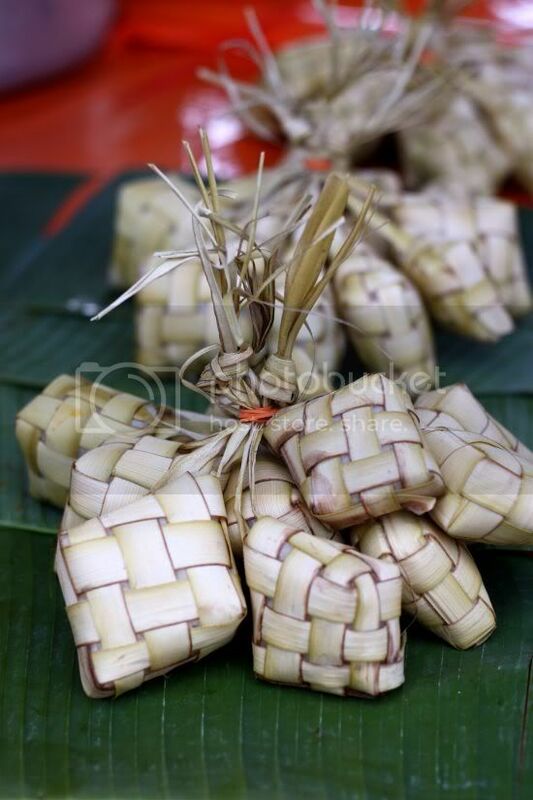 The tepung pelita (6 pieces for RM3) may be pricey but the pandan taste is distinctable, there's teeny weeny bits of water chestnut for a bit of crunch and it is not watery like the others sold in most of the bazaars. On the savoury side, roti john from places like Papa John's is super popular. Instead of having a few stalls within the bazaar, Papa John seems to be focused on just one stall which attracts long queues. 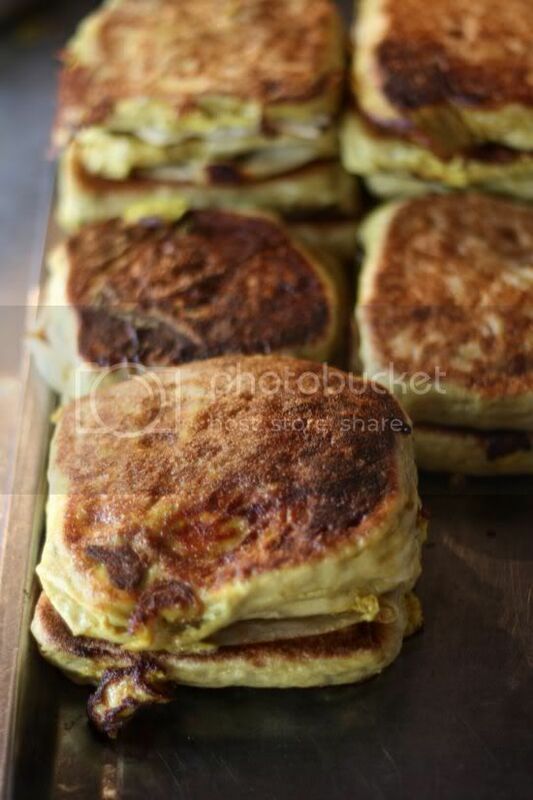 I did discover on murtabak stall that makes a newer style of murtabak - the filling is cooked ahead like an omelette than wrapped in the roti canai dough before being cooked again on the grill till crisp brown on the outside. The popiah SS Ali vans, kebab, pizza, ayam golek stalls are also there just like last year. Even though the selection is not as large as last year, this bazaar still pulls in the crowd as nearby, the MSU University students can pop over since it is within walking distance. Come late and you will have to jostle with the crowd. 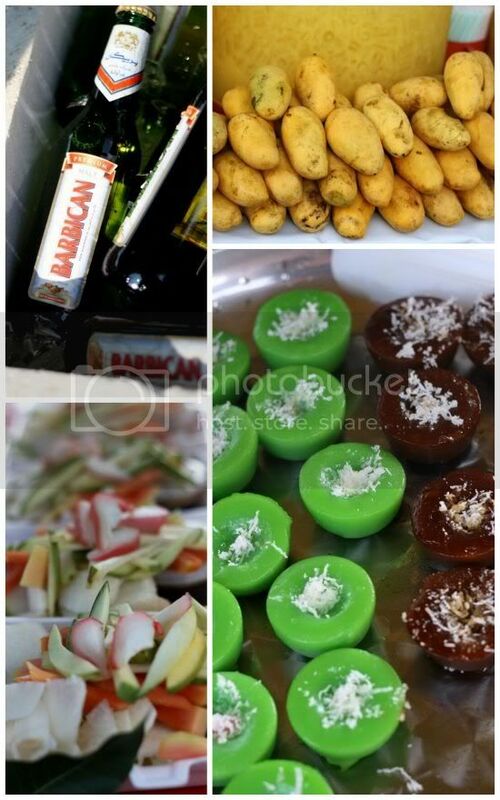 There are even stalls selling various non-food items like clothes and etc to get you prepared for Raya. 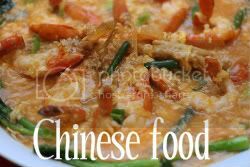 Recently, I was asked by Mrs. Jeanie Lee from New Formosa Restaurant whether I would review some Taiwanese mooncakes she is selling at her restaurant for charity. Since it was for a good cause, I agreed to sample some of their specialties. I was a little curious to also sample Taiwanese mooncakes and compare to our local ones to see their difference. 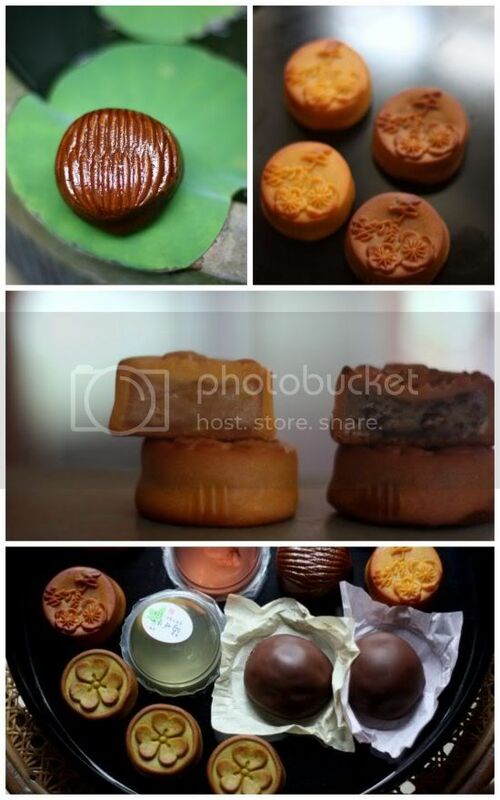 - Moonlight mooncake priced at RM53 - red bean chestnut, brown rice green tea, traditional pure mochi (pomelo) and chocolate rice ball (peanut). The one I obtained was the Emperor Mooncake collection. 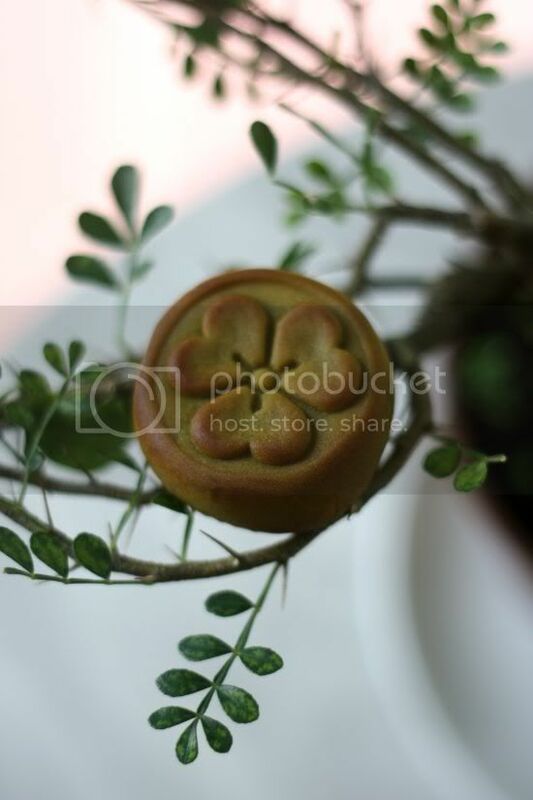 The baked mooncakes were adorable especially the green tea one which had a lovely flower embossed on top of it. In terms of taste, I did find the flavours very subtle and not very distinct. However, each mooncake seems to be less sweet tasting compared to our local ones. I also felt that it was a little on the drier side as I prefer my mooncakes with a wee bit more oil. The chocolate covered mochis were very interesting (no idea what chocolate they used but it must be some compound as it didn't melt!) 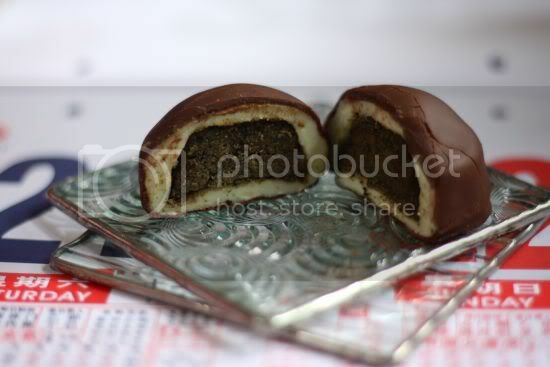 with the abundant sesame and peanut fillings. I fell in love with the adorable transculent jellies that had a sour plum and a pretty pink sakura flower suspended within. Both tasted great as they were slightly tangy (especially the sour plum one) and I wish there were more. They come packed in transparent plastic cups with spoons on the side so eating them on the go is no problem. 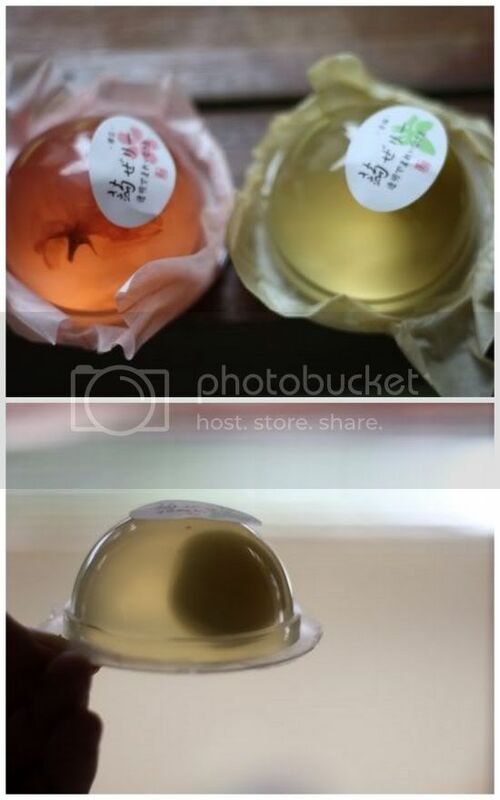 Aside from the usual mooncake boxes, Shou Xin Fang also sells these unusual frozen daifuku mooncakes filled with "ice cream". Seems these pretty little things have even caught the eye of our PM's son as he bought a box before (according to Mrs. Lee). A box of six daifuku mooncakes is RM66 with flavours such as: mango and peach, strawberry red bean, green tea red bean, sesame, red bean and chestnut and vanilla chestnut, chocolate and black forest. Each daifuku mooncake is wrapped with a rice flour skin (reminds me a little of our snow skin but less soft) and I reckon it is stuffed with cream (versus ice cream as it's not very creamy) and various flavours. It may look lovely but the flavours weren't very distinct and I felt the cream left an artificial taste to the tongue. When eaten straight from the freezer, you couldn't really taste the chestnut or red bean flavours so leaving it out for a few minutes is advisable. 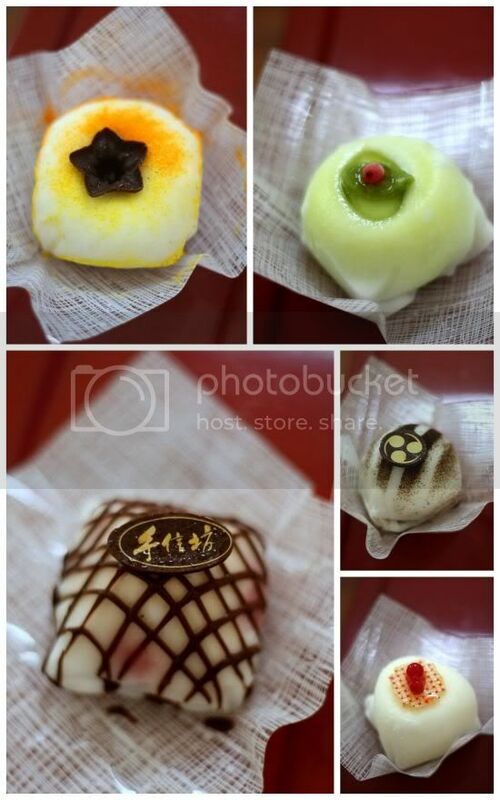 Aside from these daifuku mooncakes, Shou Xin Fang also sells Dorayaki pancakes, yoghurt mochi mooncakes, mochi truffles and mixed cheese dessert that can be purchased for the Mid-Autumn festival. I've been so busy with my Ramadan Bazaars that I've yet to post this up, a review on Nathalie's Gourmet Studio's August menu until I spied someone else's blog post about it. So here goes, just before we switch over to another new menu in September. The best part of eating in a restaurant with loads of foodie friends is you get to review the whole menu at one go since we all end up sharing the various dishes. It was a mixed bunch this time - friends who had dined before in Nathalie's for last month's menu and some who were new to the whole place. We have all been steadily impressed with the appetizers here hence we went for the full monty this time (everything on the menu except the deconstructed salad nicoise, which looked good from the next table). 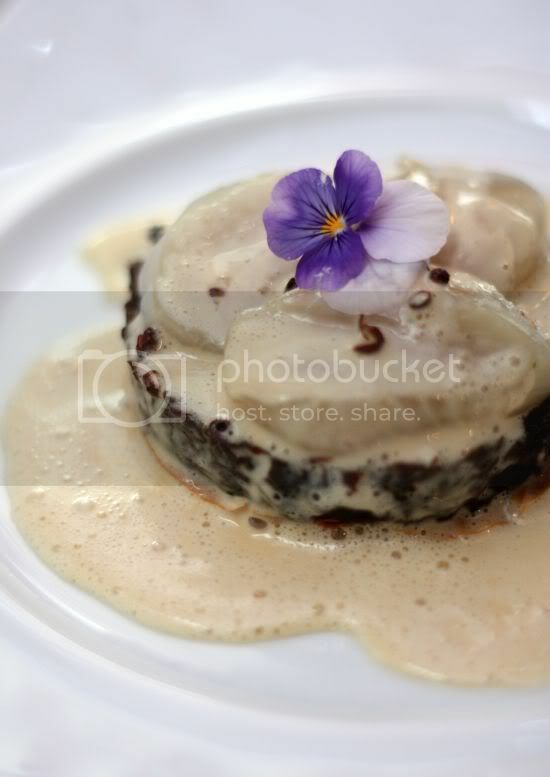 The crispy scallop tart with melted onions and Szechuan pepper sauce (RM29) got the vote for the prettiest appetizer as it came with an edible oh-so-lovely (but tasteless) purple pansy. While it looked gorgeous, the sweet taste of the melted onions layered on the bottom of the tart and the creamy sauce didn't help to uplift the delicate taste of the fresh scallops at all but drowned it completely. Moreover, there wasn't any tingling sensation in the mouth from the Szechuan peppers in the sauce to make it even noticeable. 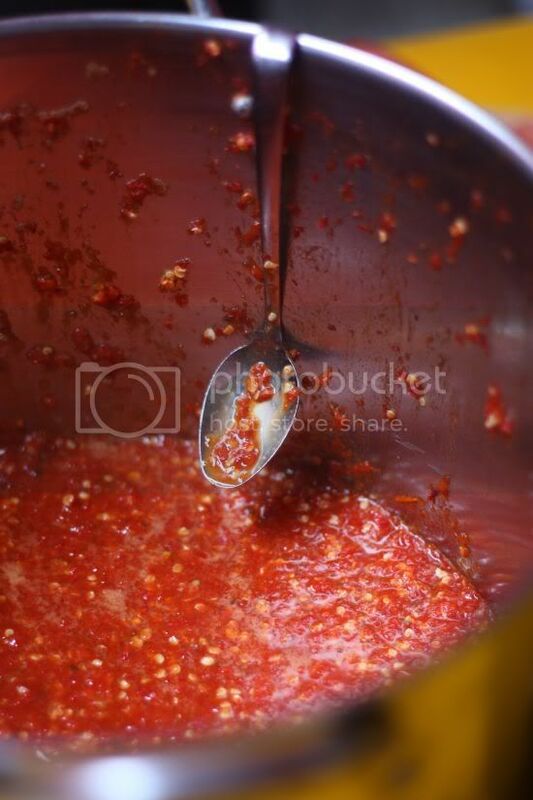 In fact, now that I'm staring at Paranoid Android's blog post, I don't spy any peppercorn husks, so it is a mystery to me whatever happened to the peppers. 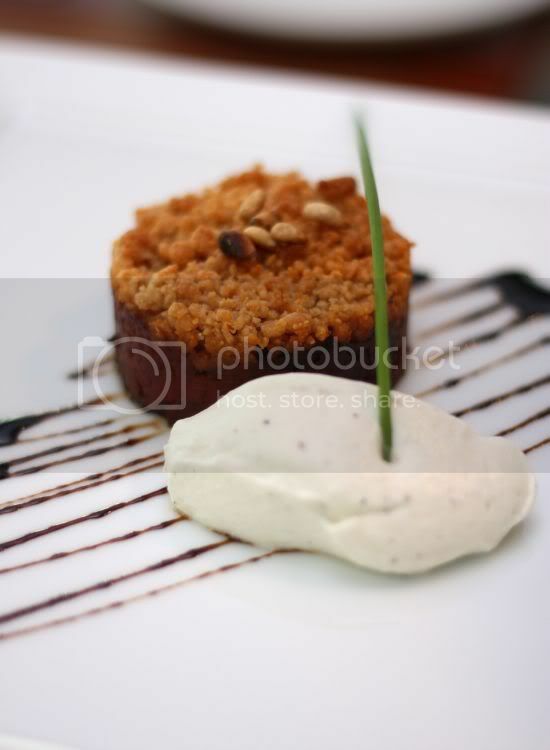 Instead we found solace with the tomato crumble with goat cheese cream and balsamic reduction (RM25). The tart is similar to the one I first tasted at Nathalie's, which came with a poached egg but this time it is presented differently with a crumbly topping with toasted pine nuts. The tangy tomato flavours meld perfectly with the lightly flavoured yet distinct wispy goat cheese cream making the whole ensemble simply divine. 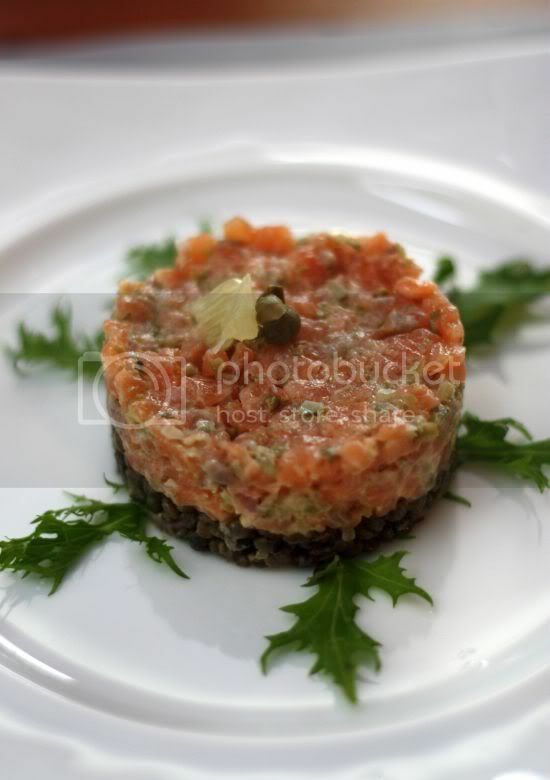 On the other hand, the two salmon tartar, green lentil salad and orange dressing (RM27) was a contrast of textures - soft raw salmon diced finely with the slightly grittier texture of the green lentils. Somehow this didn't work for us though as our tongues seemed to just prefer the tartar without the lentils. Mille feuilles are a favourite here so we had high expectations for the crab mille feuille with Nathalie's pesto sauce (RM27). 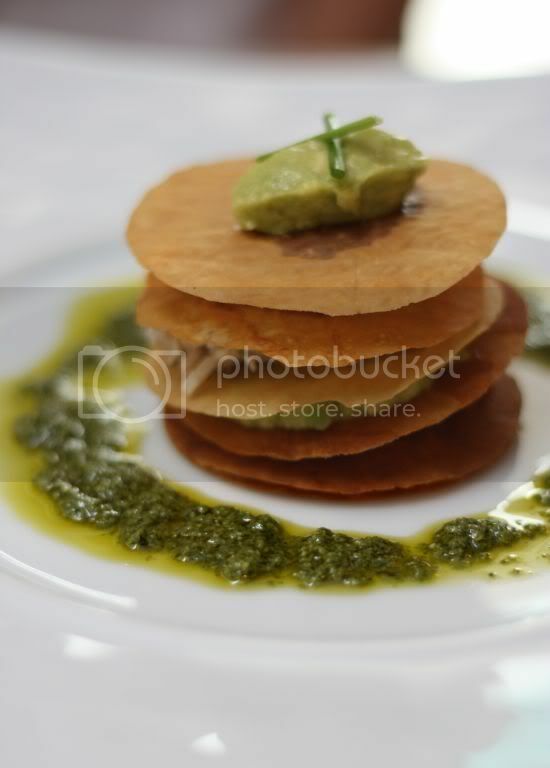 While the whole ensemble was light tasting with the avocado puree, fresh crabmeat, light-as-air layers and pesto sauce on the side, the flavours didn't blow our tastebuds away compared to last month's amazing tuna mille feuille. 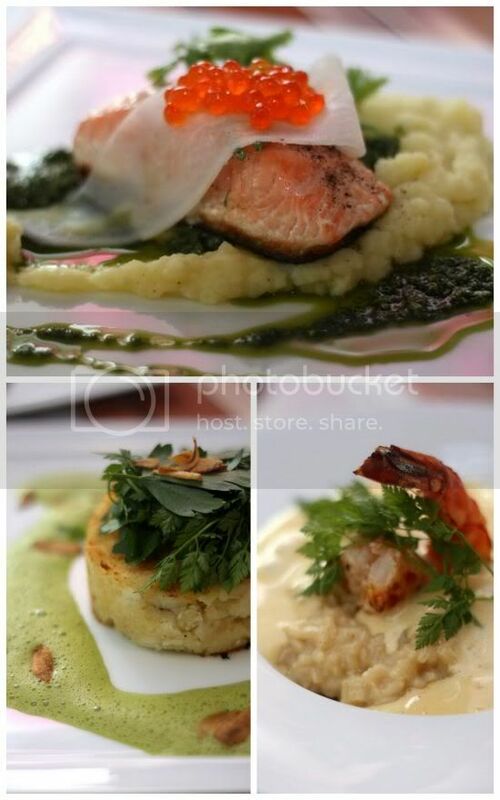 That day when we dined, we felt that the kitchen was a little heavy handed with the salt for most of our main courses including the half cooked salmon, daikon and wasabi puree with coriander pesto (RM37). Eaten with the mash potatoes on the side, the saltier taste was bearable. The halibut brandade (RM47) was a mix of mash potatoes with salted halibut (versus the traditional cod) was served with a fresh herb emulsion and fried garlic chips. Unfortunately we found the dish way too salty for our palates even though this is one of the characteristics of brandade since it is made with salted fish. 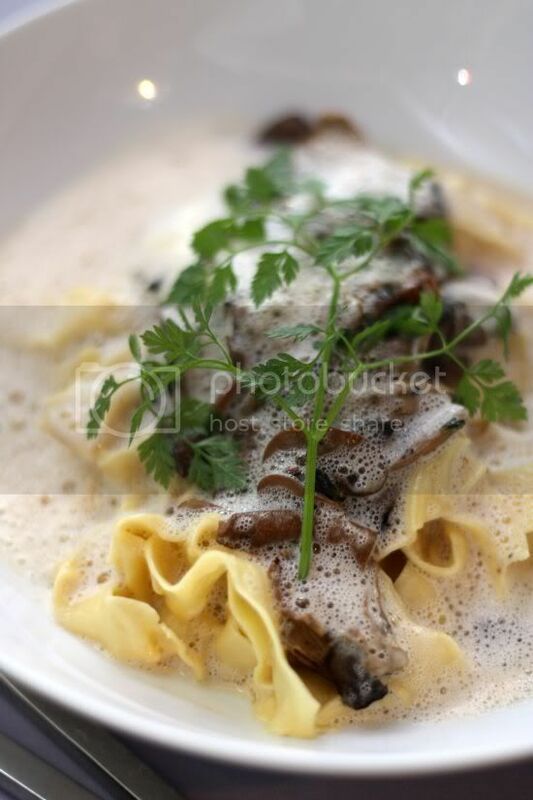 The saving grace was the wild mushroom fresh tagliatelle (RM32) topped with a parmesan and mushroom emulsion - al dente pasta ribbons mixed with the umami flavours from the wild mushrooms and a foam to lighten the whole experience. The risotto like a paella (RM57) which came with king prawns, squids, chicken and a saffron emulsion was a shade less brilliant to the pasta dish but nevertheless we did enjoy the creamy yet-not-stodgy rice grains. 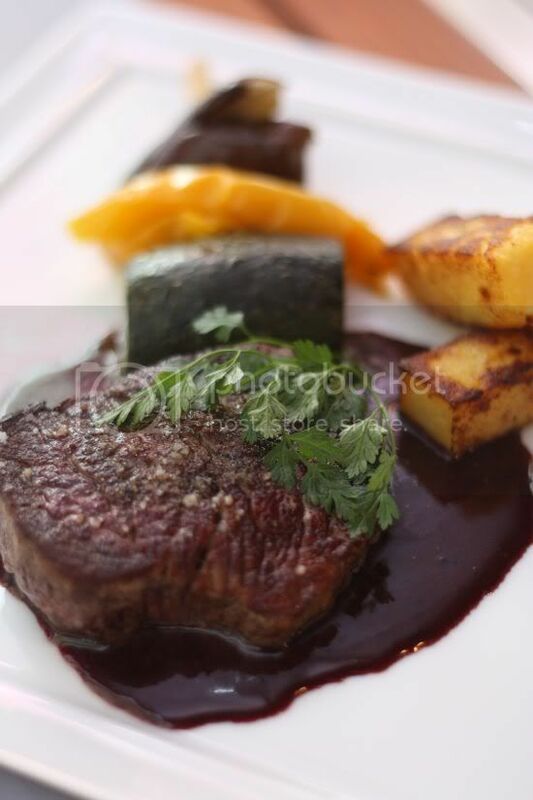 Equally good was the pan fried beef tenderloin served with a glazed rich tasting red wine sauce, grilled polenta (shaped like thick fries) and a grilled vegetable skewer (RM59). 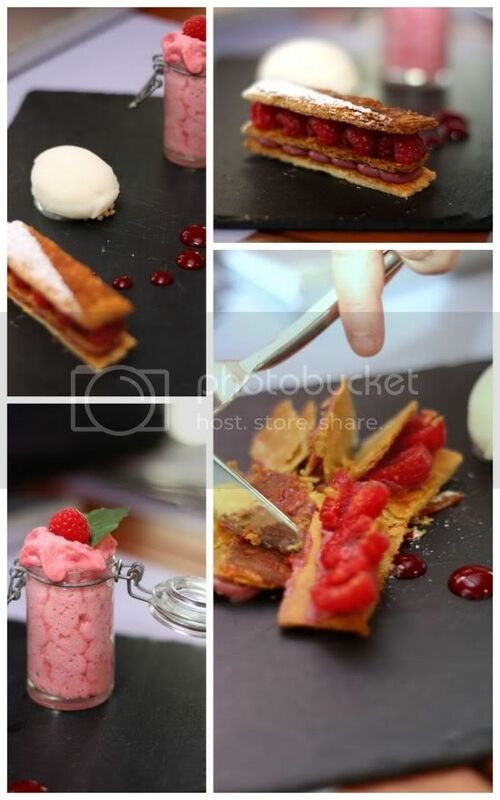 Desserts is always a pleasure here and the show stopper was the raspberry mille feuille (RM22) that looked stunning on a piece of black slate. Complementing the pastry layered dessert were a gorgeous raspberry espuma served in a cute little glass jug and a lychee sorbet. Not the easiest thing to share with a few people but we managed to enjoy every teeny weeny bite of the layers and spoonfuls of the light-as-air espuma. A little less showy but trumping the raspberry mille feuille in the taste department was the amazing upside down mango tart (RM19) served with a mango and lime sorbet. 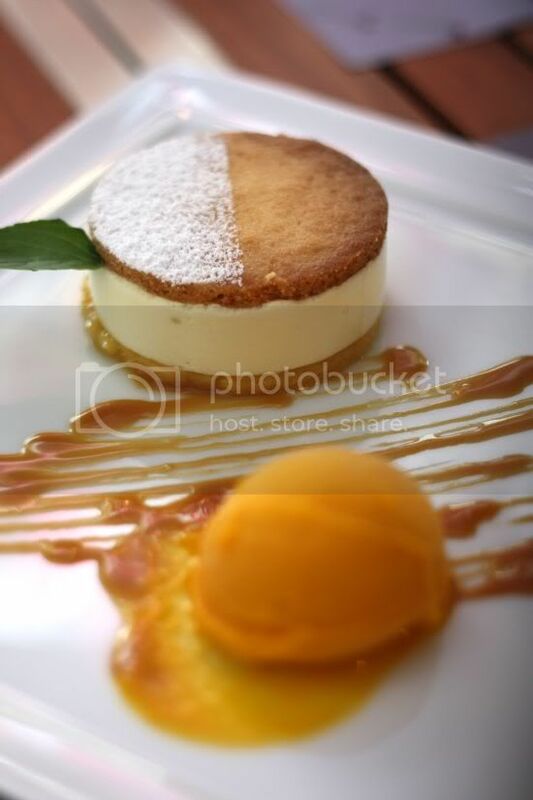 The mango and lime flavours complemented each other perfectly to make it wonderful yet light tasting end to the meal. We also tried the selection of small desserts - mini vanilla and caramel choux, chestnut and chocolate espuma and a macaron (RM18). 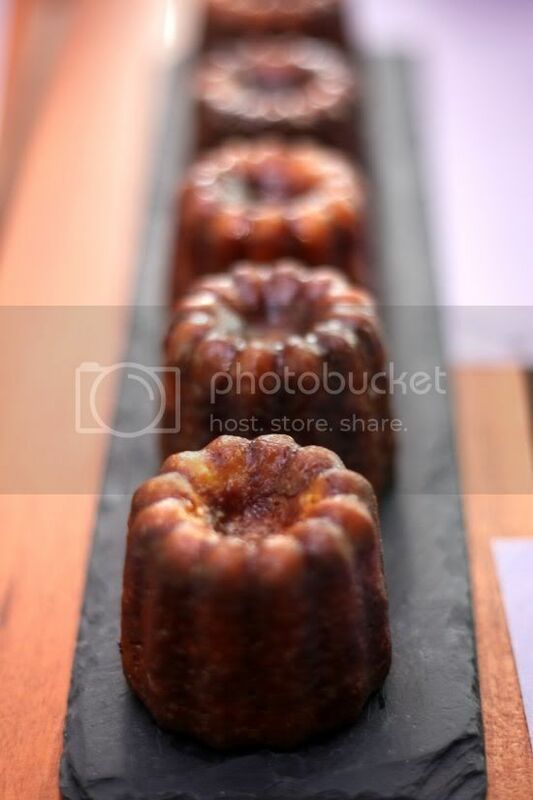 We also had the chance to sample the canelles fresh from the oven that came with a thick caramelised crust and a moist yet slightly chewy center. Overall, our favourites are the appetizers and the desserts so I reckon the next time, we'll just skip the main meals and focus on those two courses. It is weird, every year whenever I say to myself I should pack this Ramadan Bazaar crawling up, I inevitably find a bazaar that totally inspires me. This week, I wanted something different from the same old ones I have visited. Those may be the tried and popular ones but I was looking for a newer perspective. Taking a leap of faith, I wandered into a place I've never gone before - the Velodrome at Cheras. 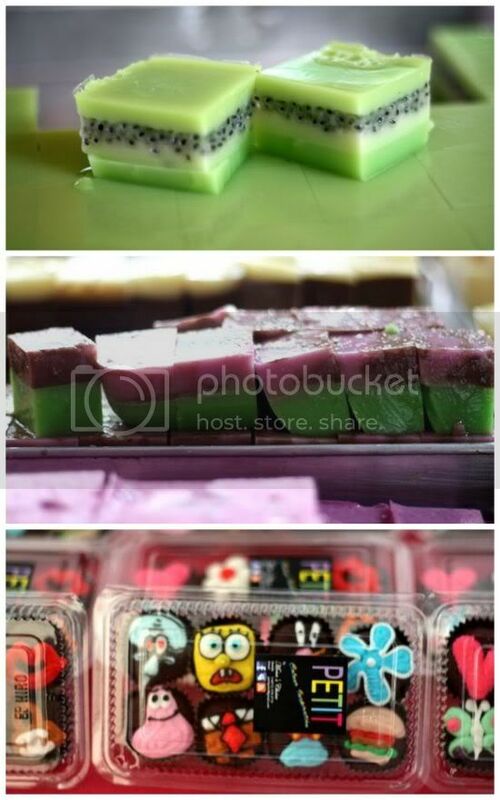 super pretty items: agar agar with basil seeds, purple and green agar agar and Spongebob cupcakes! Fighting through the building traffic, I took a few detours to avoid the jams and finally got to the Velodrome. Expecting loads of stalls, I was dissapointed as it was only about 10 plus stalls there. Oops, did I get it wrong again I wonder? Not wanting to give up, I decided to drive around in search of another spot. A few turns around and kabaam! I struck the motherlode of bazaars - a huge one that stretched for a long length around Jalan Yaacob Latif in front of the Sains Selangor School. It was completely uncharted territory for me but I was so happy to discover something new. Parking was relatively easy as the roads were so wide you could just park on the other side of the road and venture into the bazaar. This bazaar was well planned - large canopies cover the walkway and the stalls that are on both sides. There's ample walkway space and best of all, you're sheltered from the rain. It can get a little gloomy though inside the canopies but it's still a better way to avoid getting sick if it starts to rain. What I really liked about the bazaar besides the interesting food items I found....the people manning the stalls were so incredibly friendly. As there was so much to see, I kept stopping and chatting to people who were willing to share the information even though they're busy. Let's go on to the food...I was impressed with Akok Melor - this stall that sold a variety of akok, which is a Kelantanese delicacy. 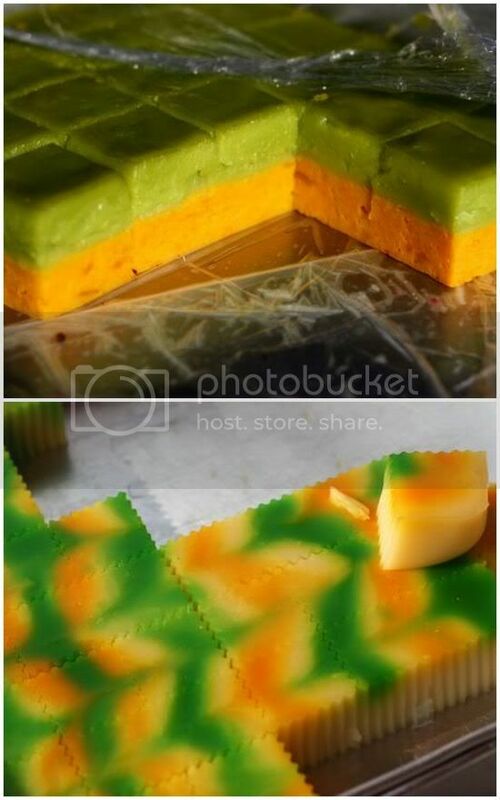 Aside from the plain eggy version, the Kelantanese stall owner had also added corn, pandan and coconut shreds to this version known as beko. 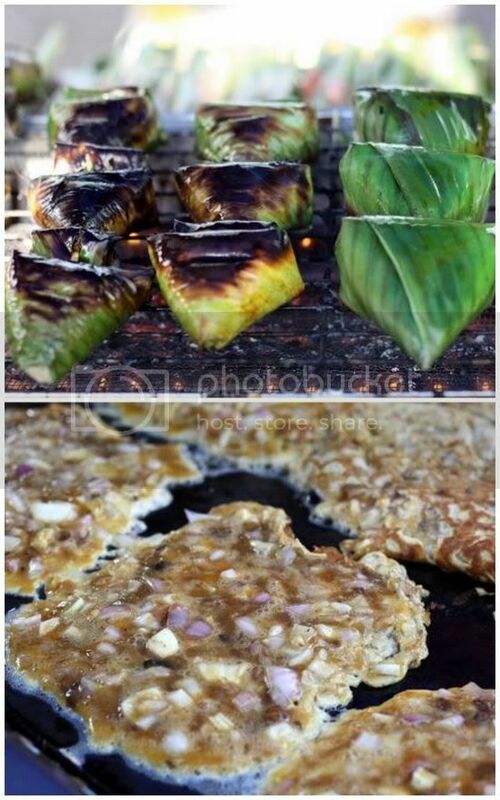 He also had kuih bakar and large akok made in the same mould of the kuih bakar. 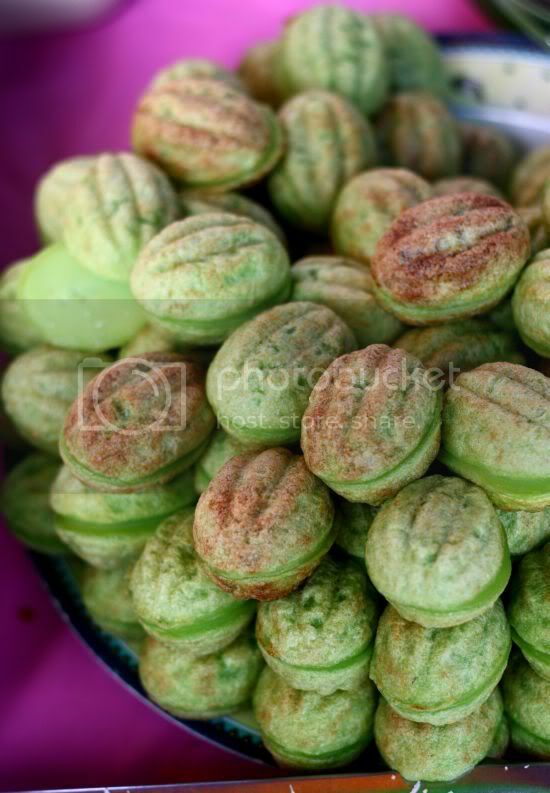 I couldn't resist and bought some - the akok is so gorgeous with an eggy custard center flavoured with gula melaka that melts in the mouth. Before I knew it, I had finished the whole bag as they were so incredibly good. What you'll also notice is some other stalls also try and imitate the same items but they don't sell as well. Next to the Akok Melor stall is the Laksa Langkawi stall that also looked good. 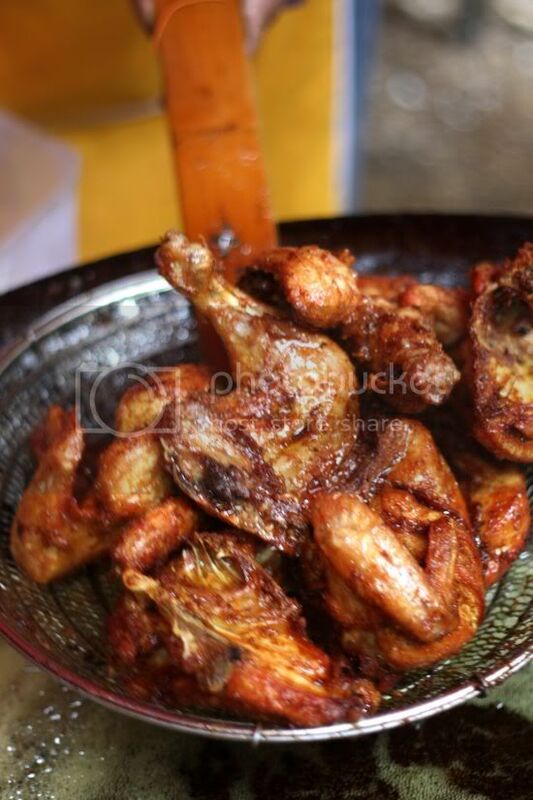 Around this area, a kind of grilled chicken using a Turkish honey method is popular. 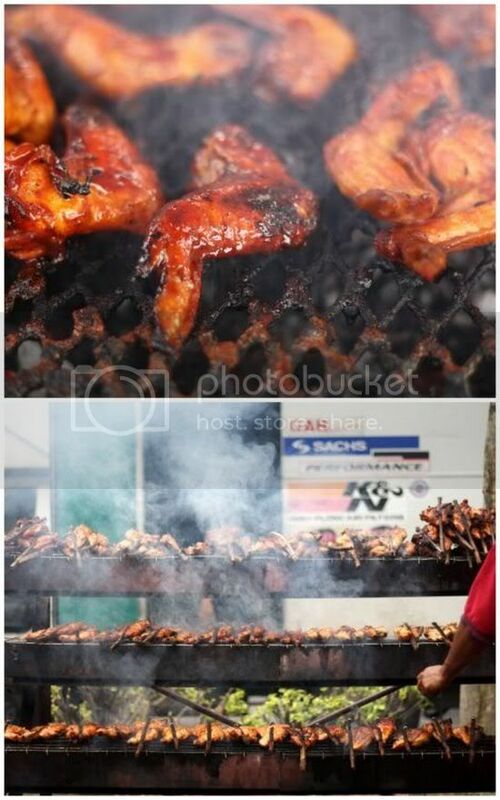 Here, they marinade it in a special honey (and a reddish colour) and grill it on a moveable spit. The chicken does look nice but the red colour can be a little offputting though. Seems to be a popular method around here as another stall was doing the same thing in the Velodrome. 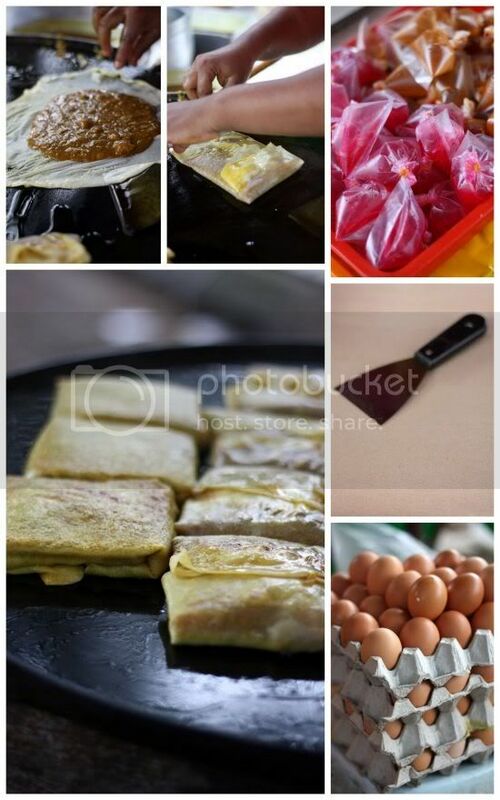 Murtabak is always a favourite and here, the most popular stall is the Murtabak Gombak. 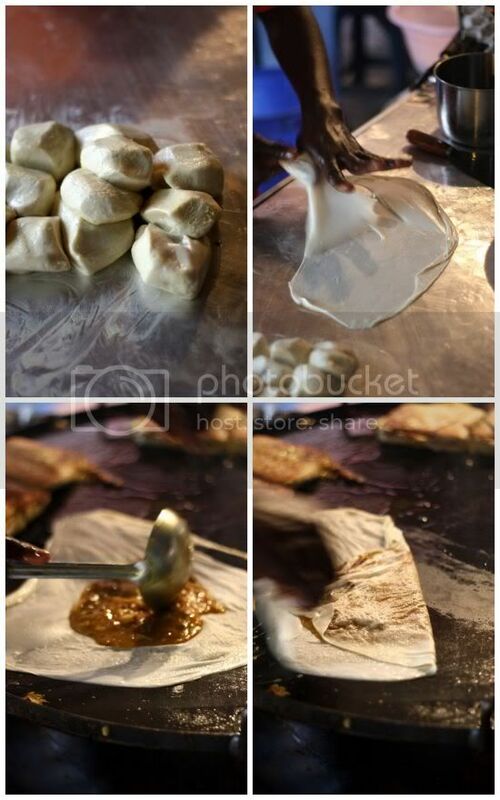 I stop by and watch the man swing his roti canai dough, stretching it out on the hot plate, pours the eggy filling before folding it into a parcel to cook till golden brown. I especially like the adorable cupcakes from Petit Cafe - all decked up in gorgeous colours and wonderful designs like a Chanel bag, Spongebob and etc. Seems the creator uses Brazilian chocolate from a single origin for his cupcakes! Other pretty things I'm attracted to are the jellies of course - in various colours, dotted with fruit and the prettiest ever, layered with those "frog eggs" or basil seeds within to give it an additional crunch. 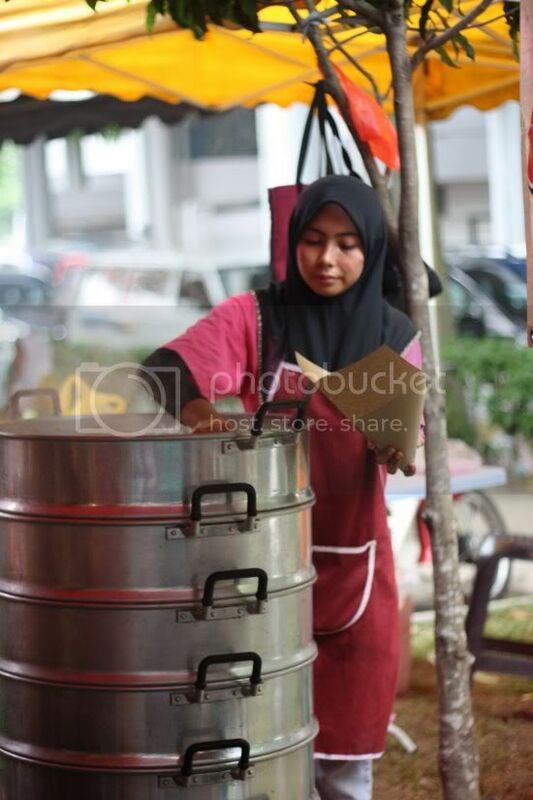 Another stall that was doing brisk business was the Nasi Kukus Ayam Dara from Kota Bahru. 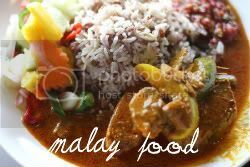 Steamed rice is packed and you eat it with fried chicken, some curry sauce and a spoonful of their hot fiery sambal. 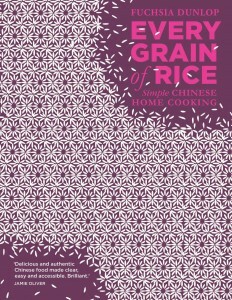 I love the rice as it is nice and fluffy with the aromatic chicken. Each packet costs RM5 and is well worth the wait. They also have the Kentang Spring here and another item I have been seeing in most bazaars - the prosperity burger, a take of McDonalds festive burger with the spicy sauce. The same stall also sells kebabs with a twist - an extra sausage with cheese. 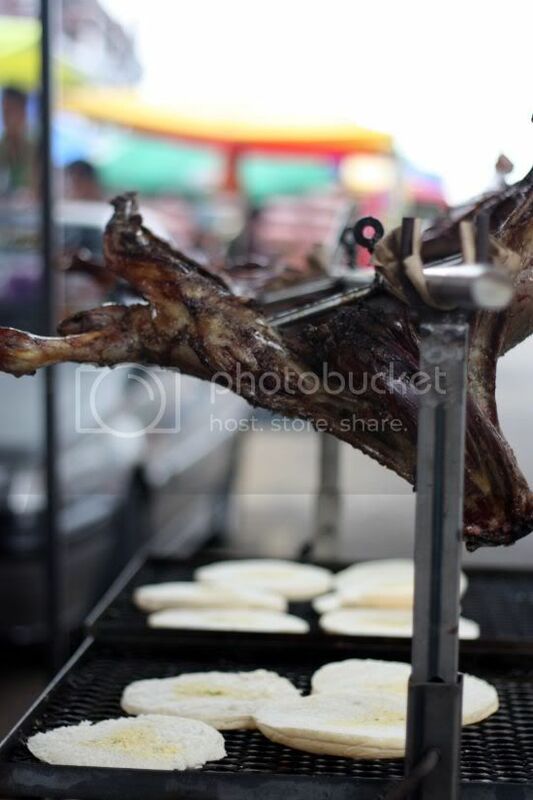 There are also stalls that grill lamb chops, great for those who love their meats and various stalls selling popiah including one they nicknamed popiah killer as it is coated in a wickedly spicy red chilli sauce. It was a truly fun bazaar experience and I definitely won't mind returning again to this place to try out more things. I know I'm truly hooked on the akoks so that will definitely be a must buy if I return. I'm slowly getting into the groove for visiting the bazaars as the weather was perfect for picture snapping, a little too much sun but I still preferred the rays versus the drops from the sky. I finally made it to the Sungai Penchala Ramadan Bazaar, one which I have heard bandied around on Twitter that it is superb. It may be quite small as it is only within a carpark area just before you enter the village but it comes with a pretty wide variety. Parking can be quite a nightmare but be a little patient and you will get a space as people continously leave the bazaar to go home. Just before I got to the bazaar, I spotted two kinds of monkeys: the real ones hanging around to eat some food given by someone and two kids swinging from a lorry. Too bad I didn't snap the real ones and compared them to the other type of swinging "monkeys"! 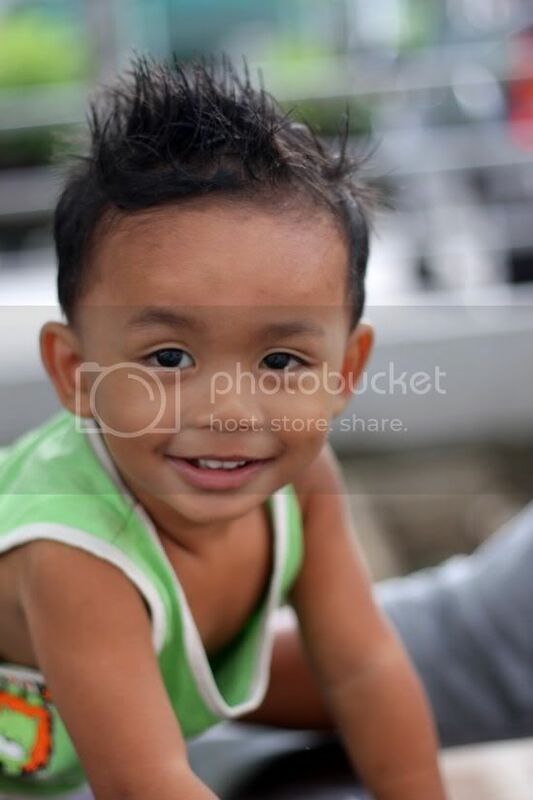 I must admit I often bump into people unexpectedly when I'm trawling through the bazaars, one time it was a reader who recognised me snapping pictures away in Subang Jaya. This time, I spotted JD and Dilly from the Red FM Breakfast show who were also doing the rounds. It was fun catching up with them and trading notes with both of them on different bazaars. They even have a "lemang rating" system for the bazaars! Read about JD and Dilly's experience at the Section 14 and Bangsar's Ramadan Bazaar on Dilly's blog. Back to the bazaar. 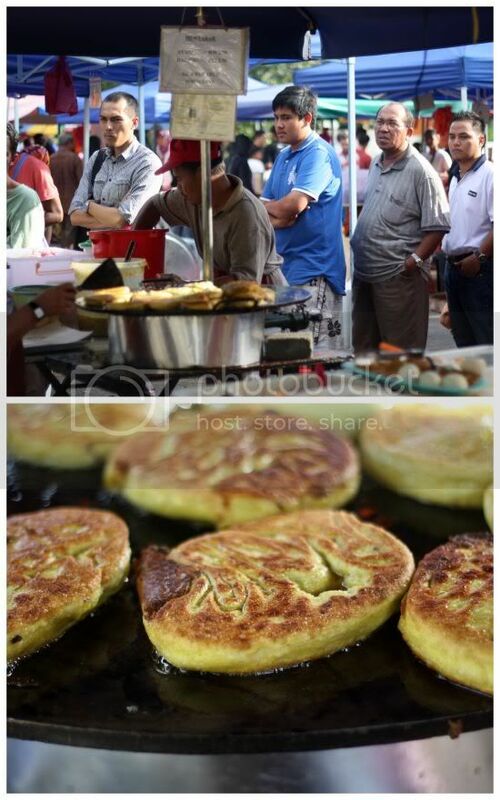 One stall doing brisk business is the murtabak stall with a long queue snaking around it and impatient men with their hands crossed over the body waiting for their pan fried delicacy. I'm not too sure what is the attraction but it could be that they tend to be quite generous with the fillings and it had a golden brown crust from the frying. Not being a person with a lot of patience, I didn't wait for the murtabak. The stall next door also looked interested - all the body parts of the cow laid out for you to choose to have with your soup including the prized marrow bones. 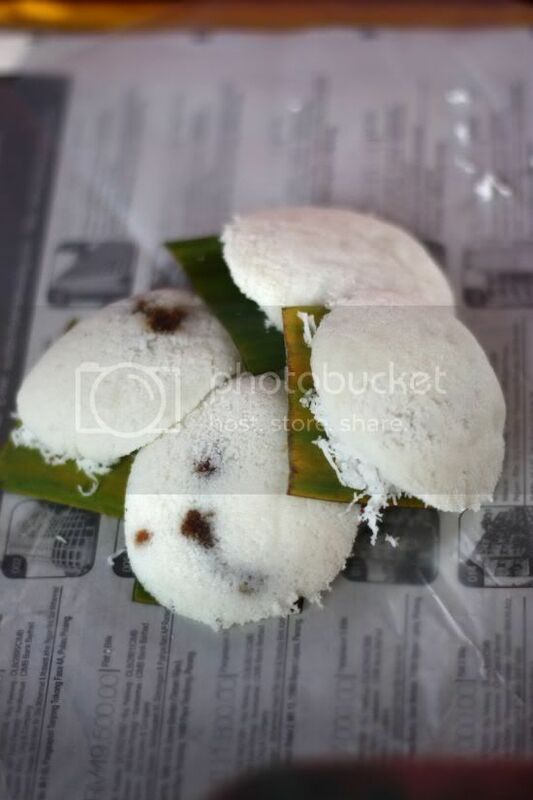 Instead, I went for putu piring. A firm favourite of mine, there were two stalls selling this but I went for the slightly busier one manned by two ladies. 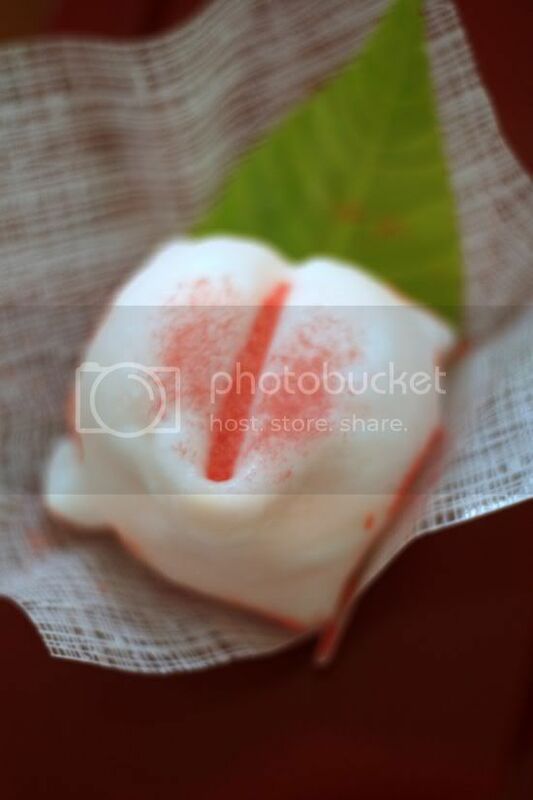 The putu seems to have shrank in size as I remember larger ones. It didn't taste too bad except they weren't generous enough with the gula melaka filling. Seems this putu piring stall is here all year round as they have pasar malam on Wednesday nights and a morning market every Sunday. There's loads to see in the market. 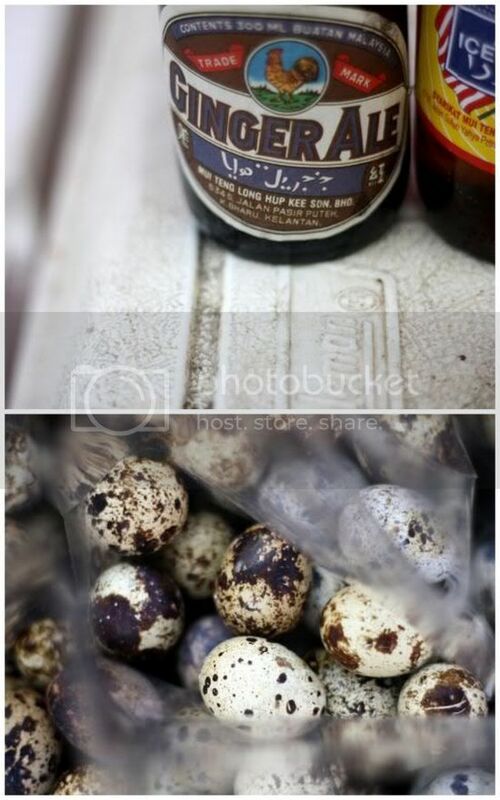 I discover one stall selling freshly picked petai and bags of quail eggs. 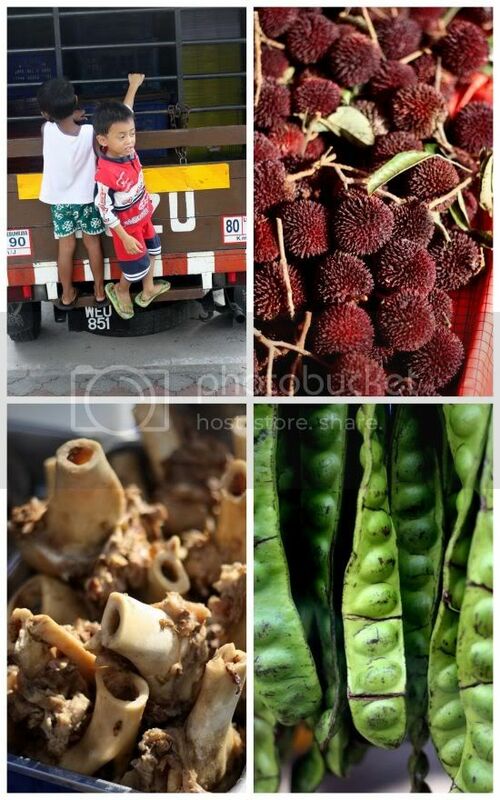 Another stall sells fresh fruits like duku langsat and pulasan - a fruit similar to rambutan with a sweeter taste. 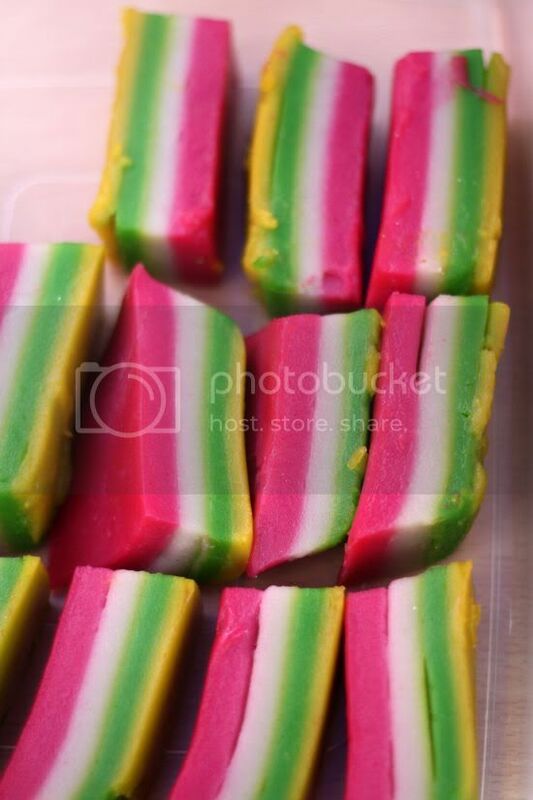 There's a good variety of kuih stalls selling all kinds of colourful and tempting sweet delights. I came across one unusual item, the rissole - an Indonesian deep fried roll coated with breadcrumbs. 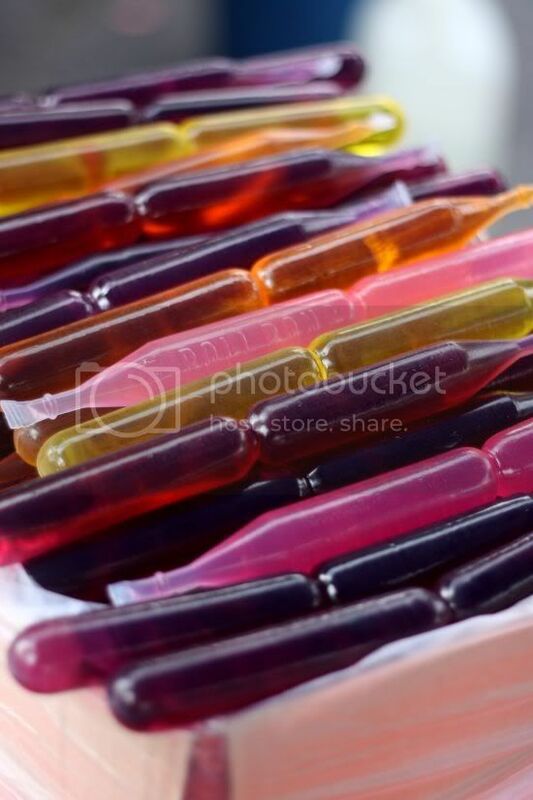 Loads of unusual items here including ice lollies or the home made ais krim Malaysia to cool down. One stall was selling old fashioned soft drinks from Kelantan with retro like labels for American Ice Cream Soda, Ginger Ale and Sarsi. These reminded me of the infamous Berkat soft drinks you get up North. That same stall also sold bottled nira water - the sweet juice extracted from the nira palm akin to our toddy. 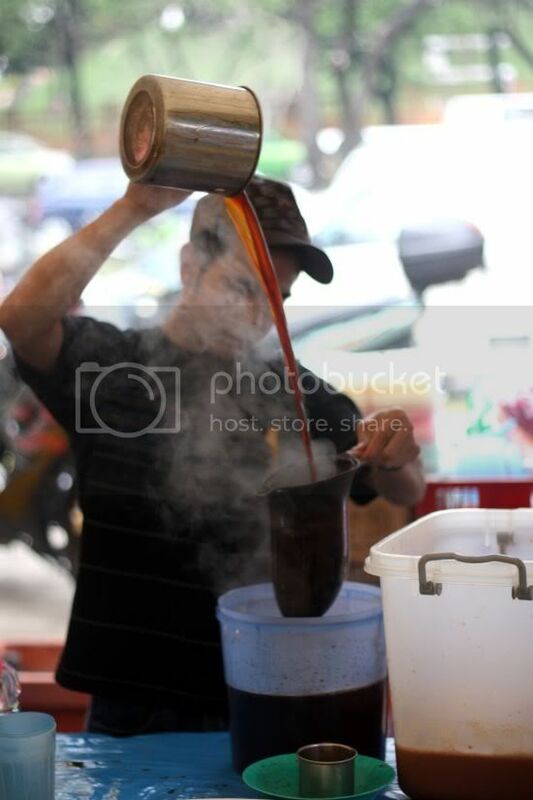 I tasted it once on the way to Sitiawan in Perak and its refreshing especially drank chilled. This bazaar is definitely worth returning for as it has so many tempting items. The Warung Cherry stall from the Kg Sg Penchala area also has a stall here selling all kinds of curries and cooked items. One particular Kelantanese food stall looked very tempting as crowds of people would flock around it. Rain rain...please go away especially when it's ramadan bazaar time.... This dreary weather is definitely putting a damper for this ramadan. Nevertheless, I do have snaps I managed to capture right before the raindrops began to fall on my head. Taman Tun Dr Ismail's bazaar seems to be shrinking as the years go by but it still remains a favourite among many especially on Sunday when it is combined with their night market. 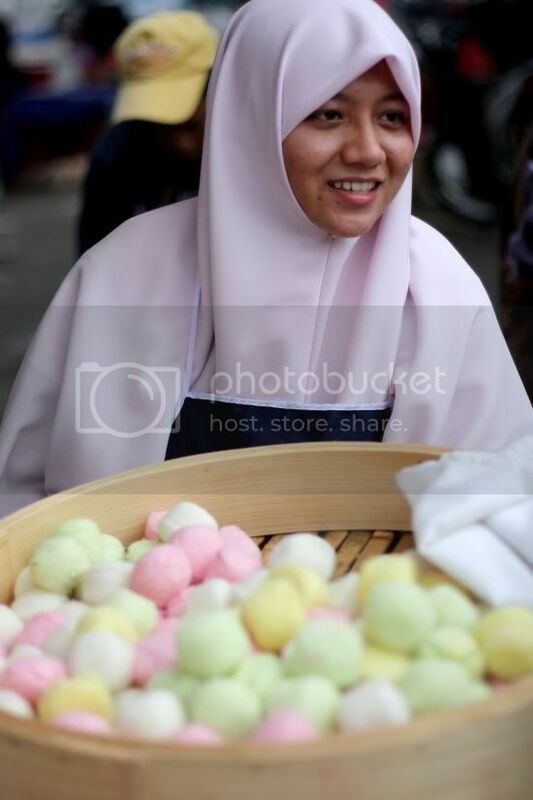 I spotted old favourites like the pastel coloured steamed kuih apam tepung beras stand. They're always here every year and there's something so delicate and pretty about their teeny weeny steamed goodies that I can never resist a snap. We spotted something unusual this year that made our mouths salivate - whole lamb being roasted over a charcoal fire. The shredded lamb meat is paired with toasted roti arab that gets an extra delicious touch since the drippings from the roast lamb are dribbled on it when the bread is being toasted. 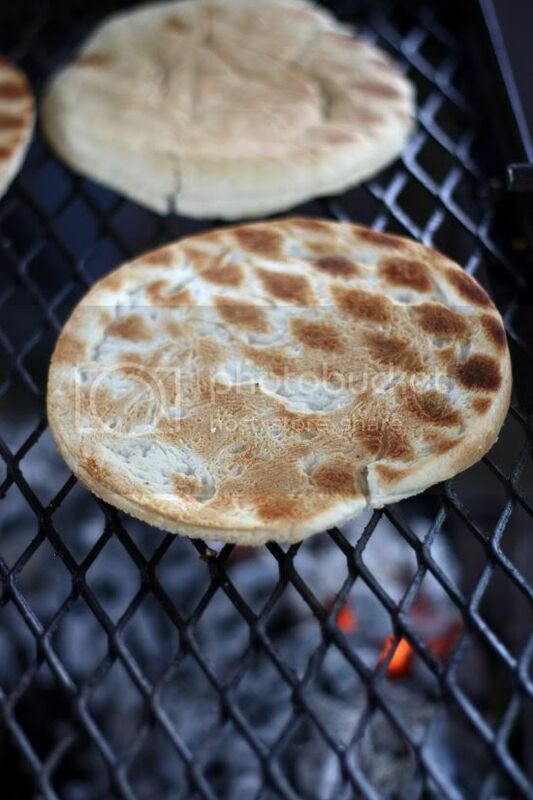 Unfortunately the rain came too soon or else we'll be chomping on the roast lamb between the grilled roti arab. I guess that is the incentive to return for that. 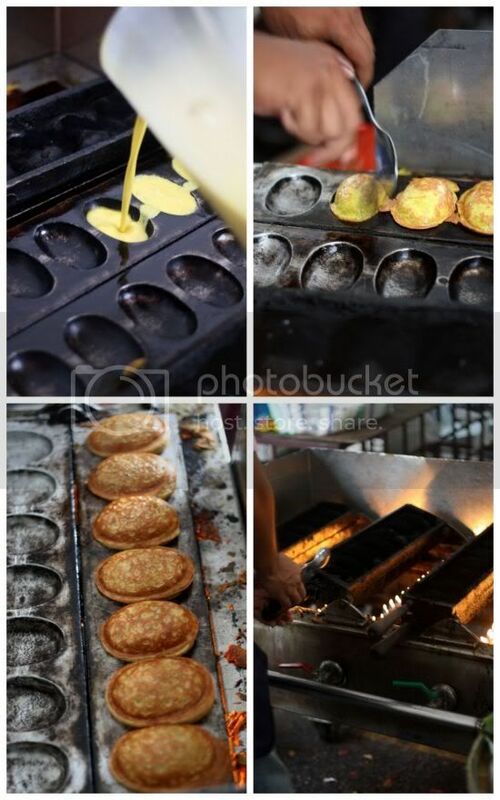 If you come early, you'll notice a lot of prep work goes into each stall...like the murtabak man who has to fry up each dough parcel filled with a meat and egg mixture until it is crispy on the outside. 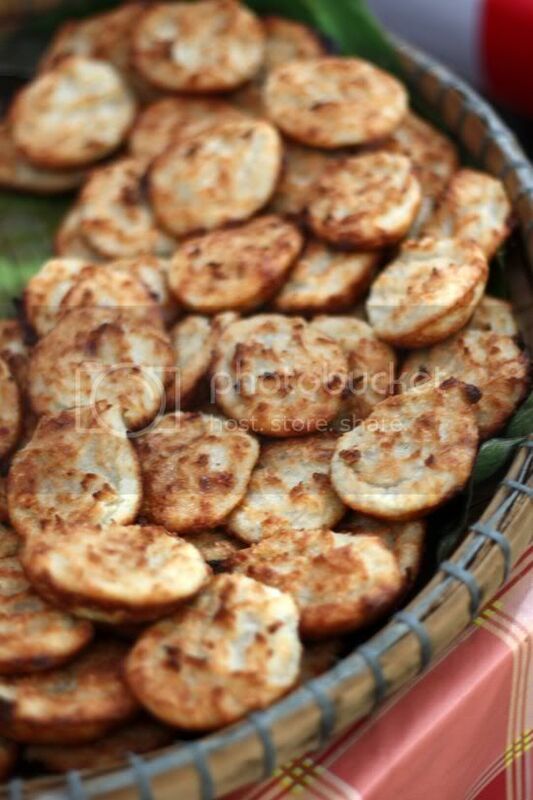 Or the Indian ladies who are frantically frying up deep fried treats like vadai and a batter filled with spices and curry leaves. 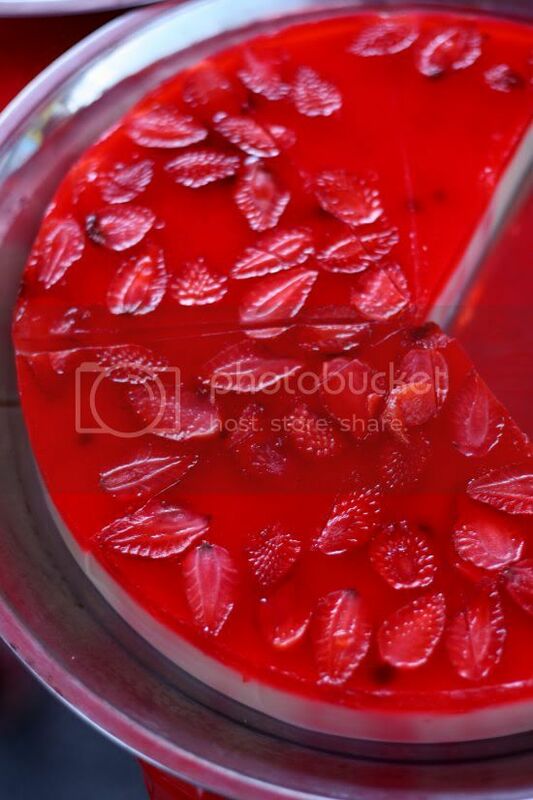 We're early hence we get gorgeous pictures of uncut jellies - freshly moulded from their round metal trays. They look so pretty with their tops decorated with fresh fruits - strawberries, mango and kiwi. 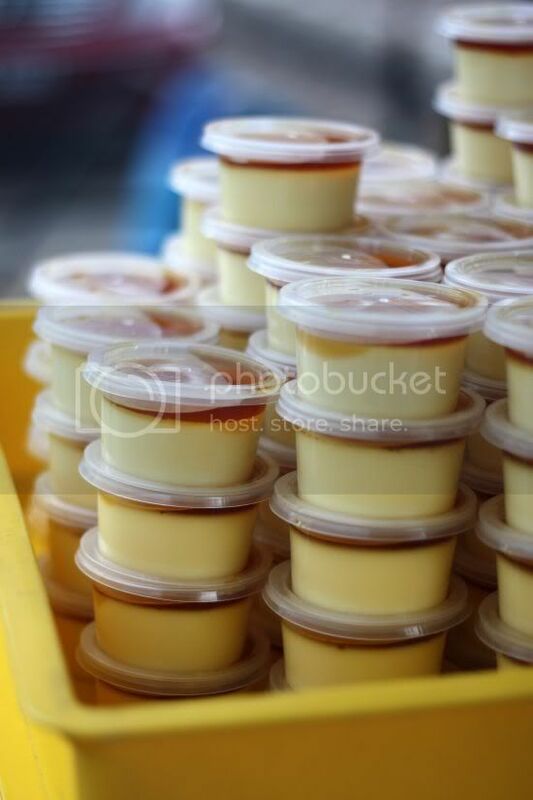 The same stall also sells creme caramel - that sweet wobbly concoction that is favoured by many. You can buy them in two versions: sliced from a large piece or packed in individual plastic containers. This year seems to be the year of the lemang....almost every bazaar sports a stall selling lemang this year. 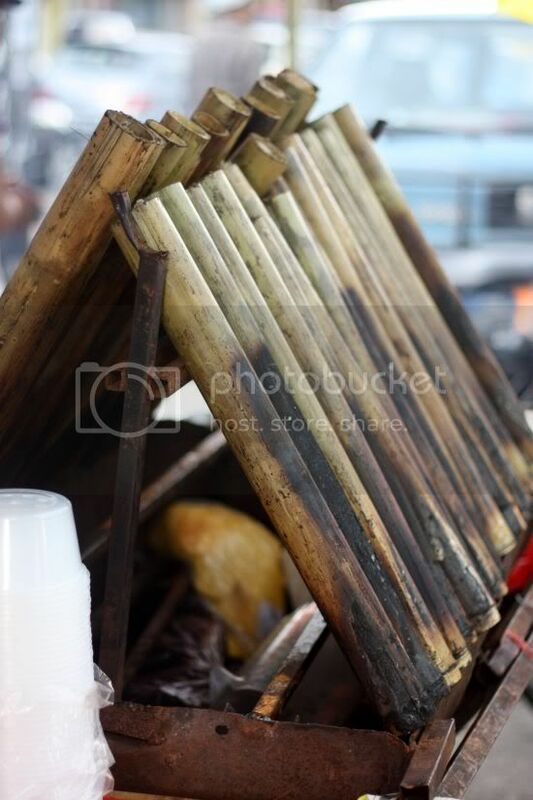 For the Taman Tun Dr Ismail stall, it is set up just like a lemang stall with the bamboo sticks placed around a fire. 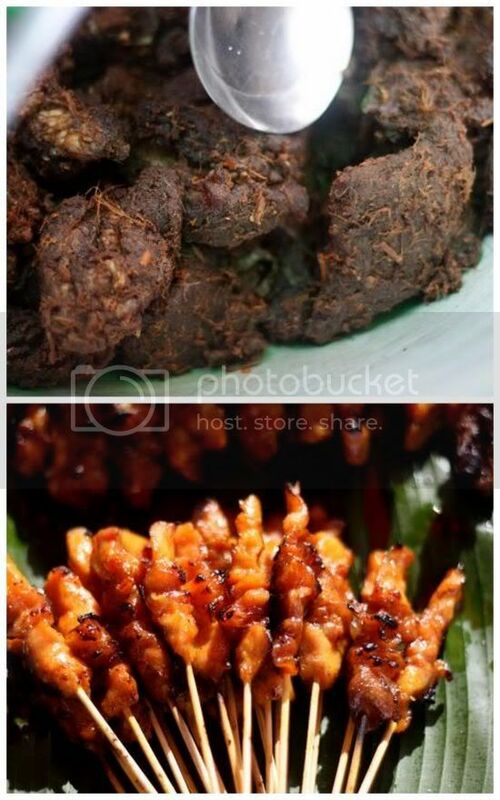 There's even beef rendang to complete the whole ensemble to satisfy your glutinous rice cravings if you can't wait for the Raya celebrations. As we venture near the fruit stalls from the night market, I manage to catch some enthusiatic customers buying and eating their durians on the spot. 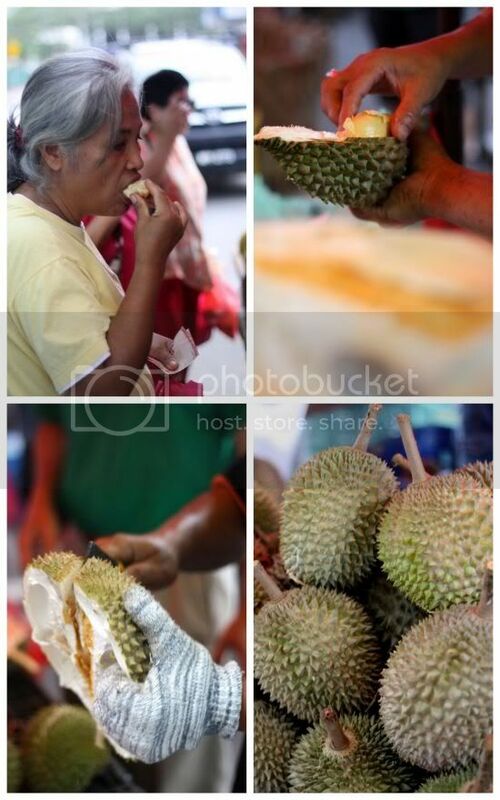 It looks darn tempting as they seem to be enjoying their creamy pungent durian thoroughly. Another commonly seen trend in most bazaars, green coloured Khatira drink. This sweet tasting drink has biji selasih or those froggy eggs (basil seeds for the technical) in them and taste nice and refreshing especially chilled. As we were early, I didn't spot the infamous briyani rice stall and putu piring stall. I guess it warrants another revisit soon when the rains stop. I didn't realise I have not been to TTDI for a few years, till I looked up my old blog posts. If you don't find the TTDI stalls satisfying, drive down the road and look for the Sg Penchala one, just before the entrance of the village. It's quite small and compact but offers an alternative.